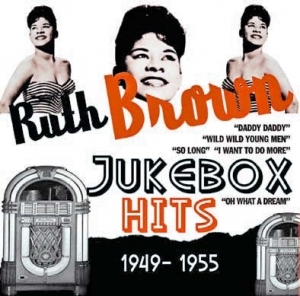 Our highly acclaimed Jukebox Hits series reaches the career of ‘Miss Rhythm’ herself, Ruth Brown. Here are all of her entries on Billboard’s R&B Chart between 1949 and 1955. Also included are several tracks that failed to chart but were huge regional hits in different parts of America. Many of her classic recordings are featured here including, ”Mama He Treats Your Daughter Mean”, “Teardrops From My Eyes” and “5-10-15 Hours”. The fully illustrated 8 page booklet includes historic details on all the songs.